Fashional LOVE Lettern Pattern Cake Candles "I YOU" J03234, Buy at lowest prices. This is Fashional "I LOVE YOU" Lettern Pattern Cake Candles .Cheap party supplies make christmas more beautiful and exciting. 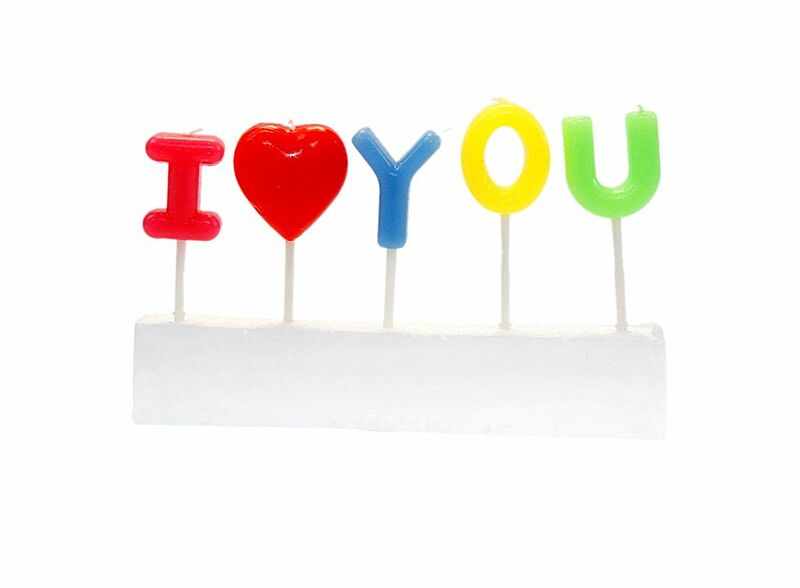 Fashional "I LOVE YOU" Lettern Pattern Cake Candles is your best choice. Cheer up your guests with great christmas party supplies. Size: approx 0.98" x 0.79" x 0.39"(L x W x H). Perfect for wedding or valentine's day party. Thicken candle, with a longer lifespan. Color: Cred, blue, yellow, green, pink. It can enhance the romantic atmosphere. It is special for birthday party.